Researchers have developed a new way to model seismic risk, which they hope will better inform disaster risk reduction planning in earthquake-prone areas. The study, which is published in Proceedings of the National Academy of Sciences today (Monday 24 September 2018), and was led by academics from Durham University's Department of Geography, has developed a methodology that assesses seismic risk by looking at multiple earthquake scenarios and identifying impacts that are common to multiple scenarios. This approach, which the team calls 'ensemble modelling', allows the researchers to estimate whether particular impacts are specific to certain earthquakes, or occur irrespective of the location or magnitude of an earthquake. The team hopes that this method will provide contingency planners with a more complete picture of earthquake risk and potentially help guide the use of limited resources available for earthquake risk reduction. The ensemble modelling method is novel as it goes beyond the standard probabilistic (identifying all possible earthquake scenarios at a given site) and deterministic (worst-case-event) approaches, focusing instead on the impacts of multiple possible earthquake scenarios. Dr Tom Robinson, Durham University Department of Geography, said: "Earthquakes remain one of the deadliest natural hazards in the world and are a significant planning challenge for governments and aid agencies. "Traditional assessments of seismic risk focus primarily on improving understanding of earthquake hazard, in terms of potential ground shaking but for contingency planning, it is the potential impacts of an earthquake that are of more importance. "Our method provides critical information on the likelihood, and probable scale, of impacts in future earthquakes. We hope this can help better inform how governments and aid agencies direct limited disaster mitigation resources, for example how they distribute resources geographically." The research team hope that the ensemble modelling method will help planners to better understand where risks are greater, for example because of the relative vulnerability of communities, or their location in relation to identified likely earthquake impacts, and direct resources in a more targeted, informed way. 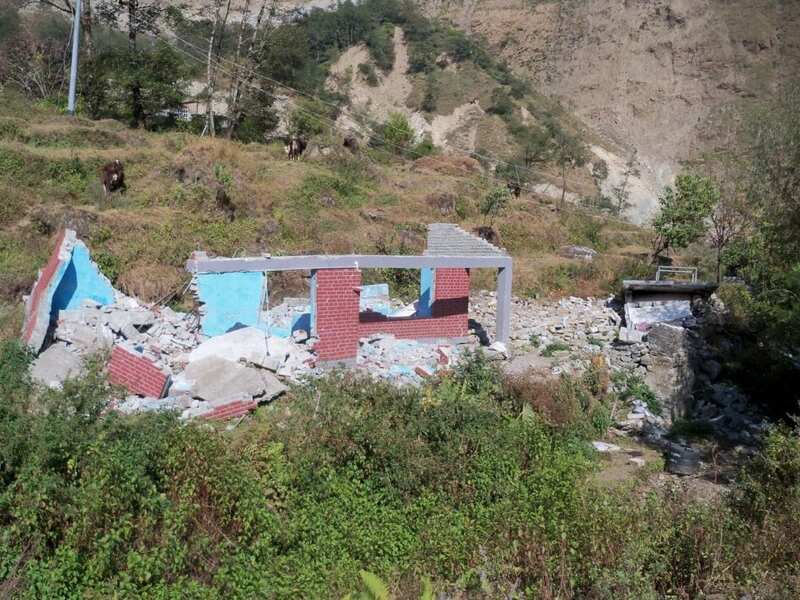 As part of their study the research team worked with colleagues at Nepal's National Society of Earthquake Technology to use Nepal as a case study for their modelling approach. Together the team modelled fatalities from 90 different scenario earthquakes and established whether or not the impacts where specific to a certain scenario. Dr Robinson said: "The results showed that for most districts in Nepal similar impacts occurred irrespective of the scenario earthquake and that impacts were typically closer to the minimum rather than the worst-case scenario. "This suggests that planning for the worst-case scenario in Nepal may place an unnecessarily large burden on the limited resources available. "Our results also showed that the most at-risk districts are predominantly in rural western Nepal and that there are around 9.5 million Nepalese people who live in districts that are at a higher seismic risk than the capital, Kathmandu. "Disaster risk reduction planning therefore needs to focus on rural, as well as urban, communities, as our modelling shows they are at higher risk." The results of the case study allow the team to demonstrate that a sole planning focus on urban earthquake risk in Kathmandu could be inappropriate, as many rural populations within Nepal are at greater relative risk. However, the new modelling approach is not only relevant to Nepal and can be applied anywhere, to help inform earthquake disaster risk reduction planning. The team is currently working to apply the model to other areas of seismic risk across South East Asia and hope to be able to partner humanitarian agencies to inform their work. Funding for this project was provided by the European Union's Seventh Framework Programme (the DIFeREns 2 COFUND scheme), the Addison Wheeler Fellowship at Durham University and the Earthquakes without Frontiers project within the NERC-ESRC Increasing Resilience to Natural Hazards Programme.